Like Earl Scruggs’s banjo, the Merle Travis sound is woven into the American consciousness, familiar in tenor and groove even to people who couldn’t name the man. Newcomers to Merle’s music are surprised to learn that there’s only one guitarist playing, because he sounds like two. And guitar students are surprised to learn that Travis played with only the thumb and index finger of his right hand, because it sounds like he’s using all of them. 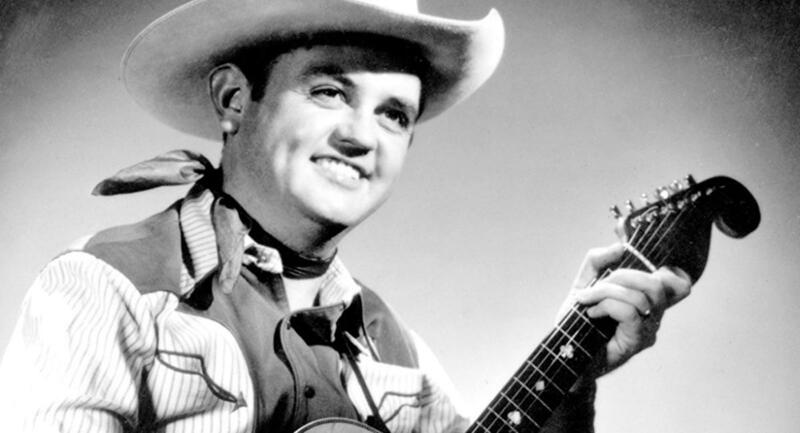 Before computers, Merle Travis was the epitome of digital entertainment. The heavy, steady pulse of the thumb playing the low strings like a stride piano creates the illusion of a bass player backing up the guitar. It’s something Travis observed as a kid in the self-taught style of one Mose Rager, a barbershop owner in Muhlenberg County. Rager (who was a picking buddy of Ike Everly from the time Ike’s sons Don and Phil were babies) tempered the effect with a “choking” quality, made by muting the strings with the fleshy part of the outer palm. This is a part of the hand few had ever previously imagined could be useful in guitar playing. 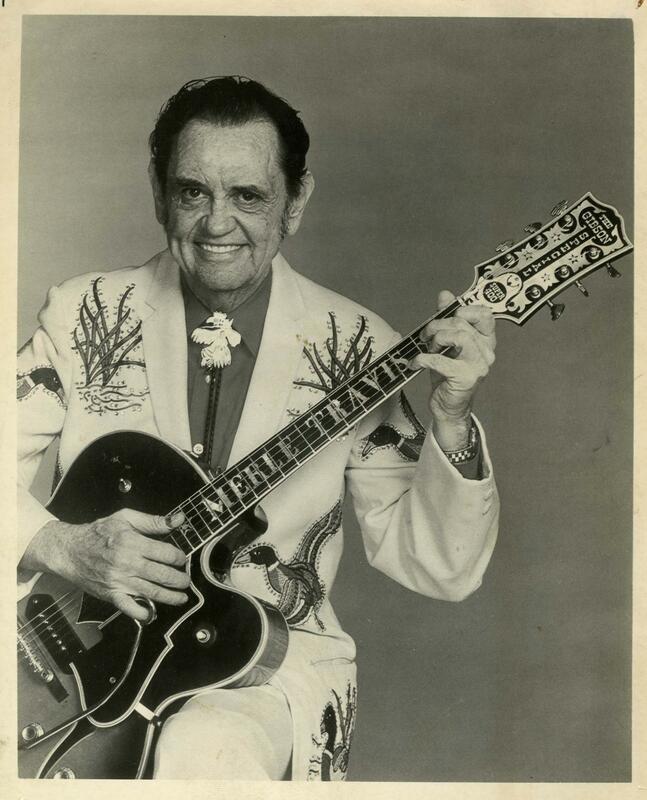 The other key influence on shy young Merle Travis was an African-American guitarist and fiddler (and coal miner and deck hand) named Arnold Shultz. Before he passed away in 1931, Shultz also schooled Bill and Charlie Monroe in the blues, so if you’re getting a picture of a rather special time and place where a whole lot of American roots music was passing back and forth and taking shape in a new generation of legends, you’d be correct. Muhlenberg County would later birth John Prine, so maybe you'd do well to go drink from their aquifers. Travis earned other credentials as a musical designer. His solid-body electric guitar concept, built with instrument innovator Paul Bigsby, was a landmark that’s housed today in the Country Music Hall of Fame and Museum. He performed steadily on television for decades and was one of the patriarchs pulled into the iconic Will The Circle Be Unbroken? album. He was inducted into the Country Music Hall of Fame in 1977. But it’s his influence on other great guitar players that sealed Merle Travis’s place in country and popular music’s highest echelons, especially Doc Watson and Chet Atkins, both of whom learned from and adapted a personal version of Travis-style picking. They are no longer with us, alas, but today’s next generation masters are on hand for Wednesday’s show. In the case of Thom Bresh, he’s literally that, as Merle Travis’s son. Bresh plays his Dad’s repertoire and his own extensive catalog of original country, blues and ragtime. And he happily uses more fingers than his pop. If there’s one fingerstyle guitarist in the world with near household name stature, it’s Tommy Emmanuel. Besides being a magnetic performer, he has one of the most complete suites of techniques out there, yet he always stays grounded in the melody of a song, and he writes lovely ones. Emmanuel was granted the made-up but delightfully fantastic title of Certified Guitar Player (CGP) by the first of his name Chet Atkins, CGP. There are two others in the world and they’ll be at the tribute as well: the professorial and perfect John Knowles, CGP and the versatile country star Steve Wariner, CGP. You don’t have to call them “sir” but it would be polite. And it continues. John Jorgenson, master gypsy jazz man and consummate studio and touring guitarist (Elton John) will be there. Tasteful but electrifying jazz and blues guitarist Pat Bergeson will play. Rob Ickes and Trey Hensley play dobro and guitar as one of bluegrass/Americana’s premiere duos. Eddie Pennington is a veteran. Parker Hastings is the precocious young prodigy. Also Doyle Dykes, Andy McKee and Laurence Juber, all famous among finger picking fans. I think the final entry in the Travis stakes is super-musician Rory Hoffman, but who knows, there may be more. The show will benefit the music education programs of the Grammy Museum. WMOT is presenting the night. TICKETS FOR SALE HERE.